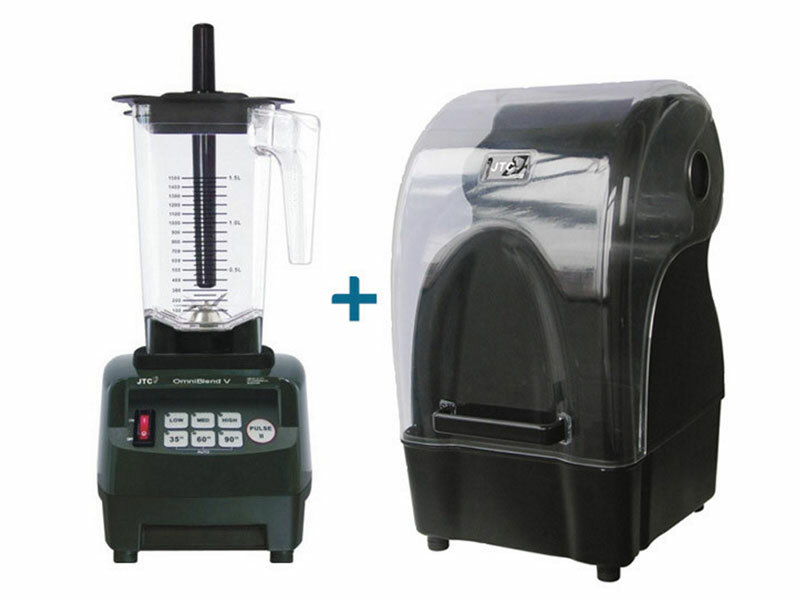 The Omni Blender is equipped with a high energy-efficient self-regulating / compensating 3 hp motor (the latest technology to save power and still provide optimum torque). 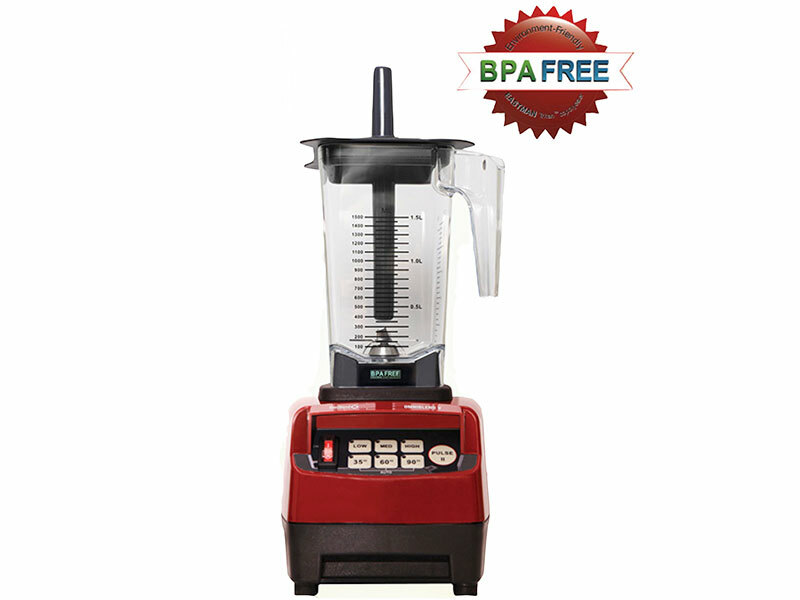 Heavy Duty Professional Super Blender - Can process any food in a very short time. Mixes, pulverises and kneads with multi-knife blades. 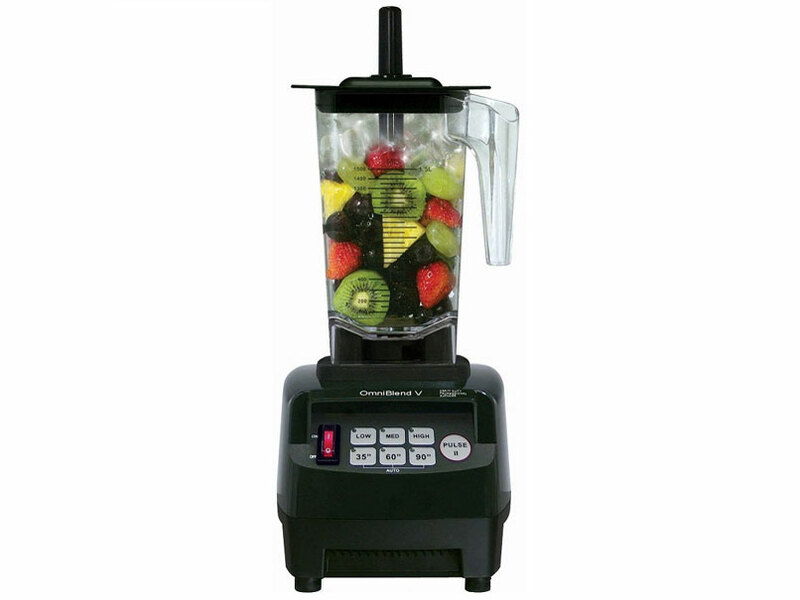 This blender is particularly popular with home users, caterers, chefs and restaurant owners that require a durable super blender, which is able to blend the toughest of ingredients in the fastest time. Multi-functional - Blending, mixing, grinding, milling, mincing, kneading, whipping, chopping, hashing and pureeing. Industrial High Speed Motor - Achieves incredible Blending speeds of up to 38000 RPM. 3 HP Power - The motor delivers 3 Horsepower of force, which quickly purees and blends even the toughest ingredients. Durability - Rugged Construction - outlasts many other blenders 5 to 1. 2 in 1 Stainless Steel Cutting Blades - Specially designed stainless Steel utility blades (made in Japan) are excellent for processing food into powder without moisture, producing soft powder with less friction between the container and food. Wet and Dry Application - The stainless steel cutting blades have 6 cutting blades, which are designed for wet and dry blending with ease. Replaceable Blades - Easily replacable stainless steel cutting blades (saves replacing whole jug). High capacity containers/jugs - Comes with 1.5 litre jug, with optional 2 litre jug. Light Weight - Lighte weight, stackable, premium quality, transparent, virtually unbreakable poly carbonate jug. Easy to clean - Saves time and effort. Cool Motor - Specially designed to protect the food from any motor heat, thereby minimising nutrient loss. Intelligent Censor - To prolong the operating life and prevent breakdowns, the power is automatically turned off when excessive usage is detected. Warranty: 2 Year Manufacturer's Warranty on Motor.